Taking strong exception to a recent statement by Union minister Arun Jaitley, where he accuses the People’s Union for Civil Liberties (PUCL) and People's Union for Democratic Rights (PUDR) of working for the "ultra-left" agenda, in a strongly-worded statement, PUCL has said, "It is incredible that a lawyer of his stature would not consult records and verify facts before launching an attack on a reputed organisation with which he had been associated from its second birth in 1980." Jaitley, in a recent Facebook post https://www.facebook.com/notes/arun-jaitley/who-is-threatening-human-rights/805931829595367/ titled ‘Who is threatening Human Rights,’ said, among other things, that PUCL, "formed by constitutional liberals led by Jai Prakash Narayan", was "seized" by the ultraleft, which infiltrated "organisations like the PUCL and PUDR" in 1980s, adding, as a result, "The liberals got disillusioned with the Maoist takeover of the civil liberties movement", something that a few gullible could not "understand". Accusing Jaitley of justifying the use of "unrestrained force even against a suspected terrorist who is not fighting but is just hiding", PUCL says, "Anticipating opposition from the rights organisations against human rights violations" by the Modi government, Jaitley has preferred to attack "human rights organisations to erode their credibility and mislead the people", adding, he "knowingly" distorts facts about PUCL "with which he had been associated for several years before he chose to pursue his political career." Originally the People's Union for Civil Liberties and Democratic Rights (PUCL&DR), says PUCL, the PUCL&DR "was deliberately kept free from political ideologies so that people belonging to various political parties may come together on one platform for the defence of civil liberties and human rights." Recalling that how it fought against the Emergency (1975-77), PUCL says, its 1980 conference "was attended by eminent persons from all walks of life and by the members of most political parties including the Congress." But, as "a section of the PUCL&DR was not willing to include members of RSS and did not join the conference", out of PUCL&DR were born "two organisations: the PUCL and the PUDR. PUCL adopted its Constitution and elected VM Tarkunde as President and Arun Shourie as General Secretary." 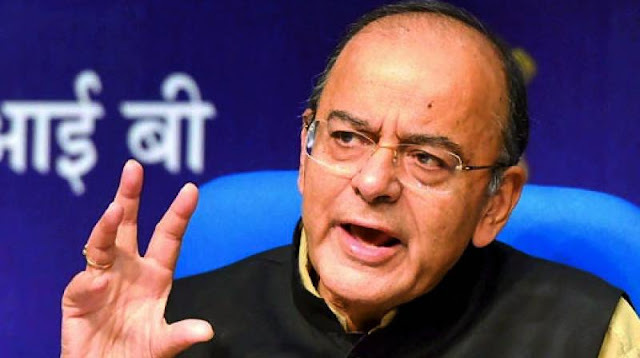 Pointing out that Jaitley was "very closely associated with the formation of the PUCL", the statement says, "The PUCL constitution adopted at the 1980 conference mandated that the PUCL should bring together all who were committed to the defence and promotion of civil liberties in India, regardless of their political ideology." "Thus", it says, "The so-called ultra-left were not barred from joining PUCL in their personal capacity if they signed the pledge that they 'subscribed to the aims and objects of the organisation and agreed to abide by its constitution’." "There were two conditions for a person joining PUCL", says PUCL. These were: "They must subscribe to its aims and objects and must abide by its constitution." It adds, "The aims and objects of the PUCL confine themselves to the issues of civil liberties and democratic rights and strictly exclude political issues or political ideologies. Thus, the question of the PUCL promoting the interest of the left or ultra-left or any other political party does not arise." PUCL underlines, "All the liberals and the members of the political parties including Arun Jaitley, who joined the PUCL were fully aware of the constitution they had framed and adopted and were fully conscious that no person was an untouchable or an outcast for PUCL, if the person subscribed to its aims and objects and pledged to abide by its Constitution." The statement continues, "PUCL members, including the Naxals, also did not discriminate against members on the basis of their ideology. For example, Ravi Shankar Prasad, an ABVP member, was elected as a Secretary, Bihar PUCL, in 1981 and held that post till 1988. He was elected as General Secretary in 1988. He resigned from the post only after he joined BJP, as members of political parties are not eligible to hold an office in PUCL." It adds, Prasad "eventually left the organisation later because he felt that the PUCL had not acted impartially when it did not send a Fact-Finding Team to Ayodhya following the police firing on Kar Sevaks in 1990 in which a large number were killed. While he remained in the PUCL, he enjoyed the members' support on the basis of his performance." PUCL says, "Jaitley has not referred to a single meeting of PUCL where the question of the takeover by the Maoists was raised by the 'liberals' who allegedly left. In fact, there could be no question of a takeover by the Maoists in the early 80s as Jaitley alleges, because the CPI (Maoist) was formed only in 2004 with the merger of the People's War Group, the Maoist Communist Centre and a few others." Signed by Prof Prabhakar Sinha, former president, PUCL, and released by its national president Ravi Kiran Jain and national general secretary Dr V Suresh, the statement says, "PUCL continues to disapprove of violence as a means of resolving political problems and issues, but holds that even those who resort to violence must be dealt with according to the law of the land." It regrets, "Rulers mislead the people into believing that the human rights organisations which stand for the protection of human rights of the alleged Maoists or terrorists are supporters of their ideologies or causes." The statement tells Jaitley, before saying that "gullible liberals" alone remained with PUCL, he must remember who all were part of the organization "till the end" -- VM Tarkunde, Rajindar Sachar, Rajani Kothari, Prof Amrik Singh, HM Seervai, Asghar Ali Engineer, Nayantara Sehgal, Hemlata Prabhu, Aloo Dastoor, MA Rane, Baba Adhav , RB Mehrotra (Justice), Devbrat N Pathak, Yashpal Chhibbar, among other.